The premium method to truly learn Italian. You have nothing to risk. If you don’t think OUINO is the best investment you have ever made for language learning, we’ll refund your purchase. It’s that simple. We have a method that works, and we stand by it. 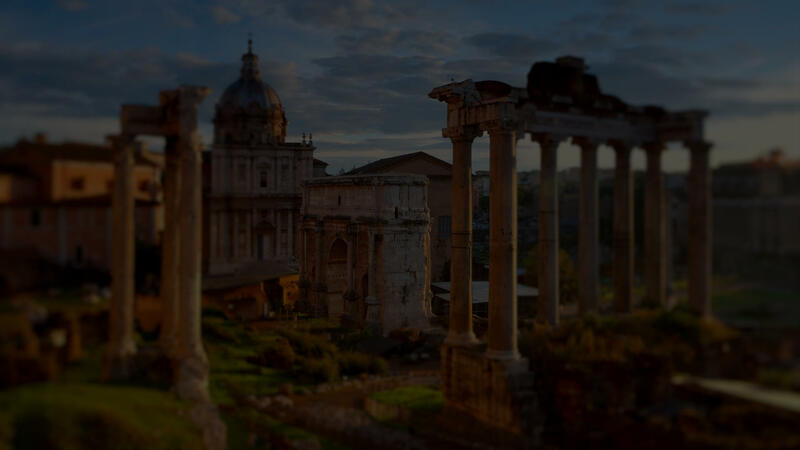 If you truly want to learn Italian, you need the best tools to take you there. You may have watched a few online videos and played around language apps on your phone, but now you’re running in circles. If you want to make real progress, you need a real Italian-learning course. OUINO has you covered. OUINO is currently the most comprehensive language-learning program on the market. It includes over 400 lessons and 1000 exercises divided in 5 different modules; Verbs & Conjugation, Building Blocks, Conversations, Pronunciation and Vocabulary. We’re a small family of language lovers and we are here to help you reach your goal. If you ever feel stuck or feel like you’ve hit a plateau, please contact us. We’ll be happy to help you get over any hurdles. Never underestimate the value of human help in this automated world. TAKE FULL CONTROL OF YOUR LEARNING. CHOOSE YOUR OWN LEARNING PATH. OUINO gives you full control over what you learn. Take the lessons in the order that will help you reach your personal goals. Most language software on the market use a level (1,2,3,4,5) or a beginner / intermediate / advanced approach. This can be good if you are a complete beginner and learn from one system and never use any other. But for many people, this can be frustrating because everyone has a different definition of the levels. What does it really mean to be at an intermediate level in a language? There are lots of different opinions out there. OUINO has a free-style approach to language learning. 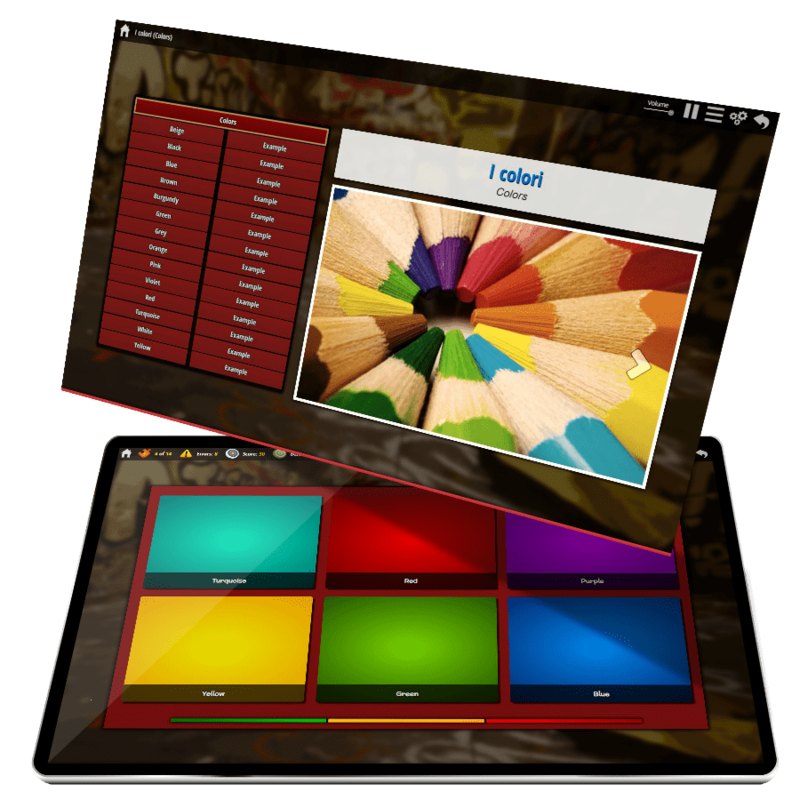 Our system allows you to take the lessons in virtually any order. You can take the lessons that are most relevant to you first, and save the less-relevant lessons for later. You may even skip some lessons altogether if you don’t need them. Everything you learn will always be in-tune with your goals and you will never be forced to learn words that you have no need for. The lessons are never too fast or too slow because you take control. Simply adjust the settings to fit your learning speed and style. Everyone is different. Different needs, different ages, different learning abilities, different levels. Expecting everyone to learn in the exact same way didn’t make sense to us. That’s why we have created the most customizable program on the market. 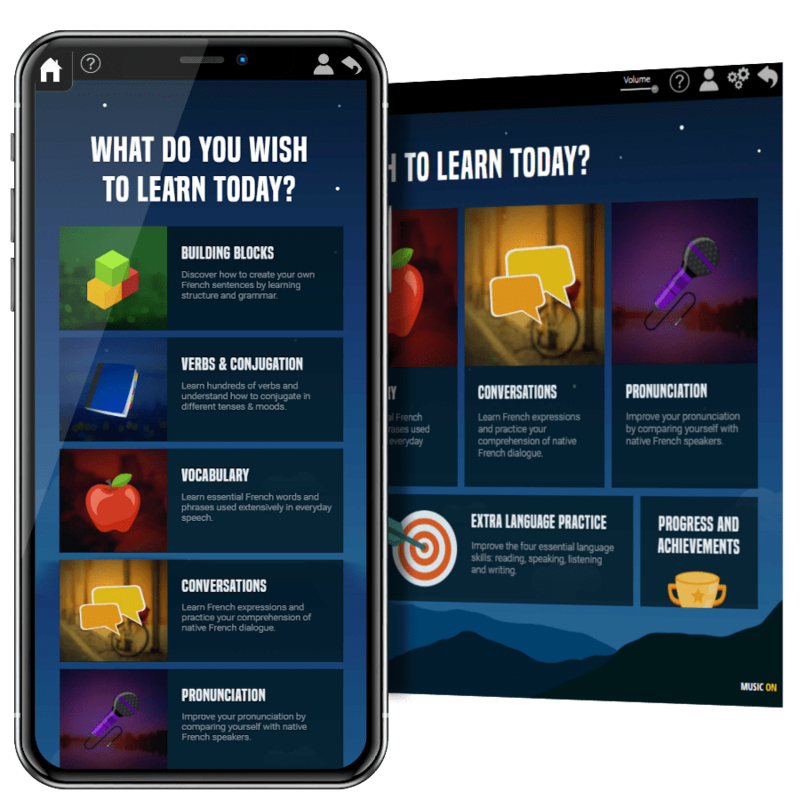 In OUINO, you can choose exactly how and what you learn. You can adjust the speed and the number of repetition in the lessons and choose the difficulty of the exercises. You’ll always learn at the optimal speed for you. OUINO allows you to practice your speaking, reading, writing and listening skills at any time during your journey. Our “Extra Language Practice” module allows you to practice your language skills at any time during your journey and long after you’ve completed the OUINO program. These exercises are virtually endless. 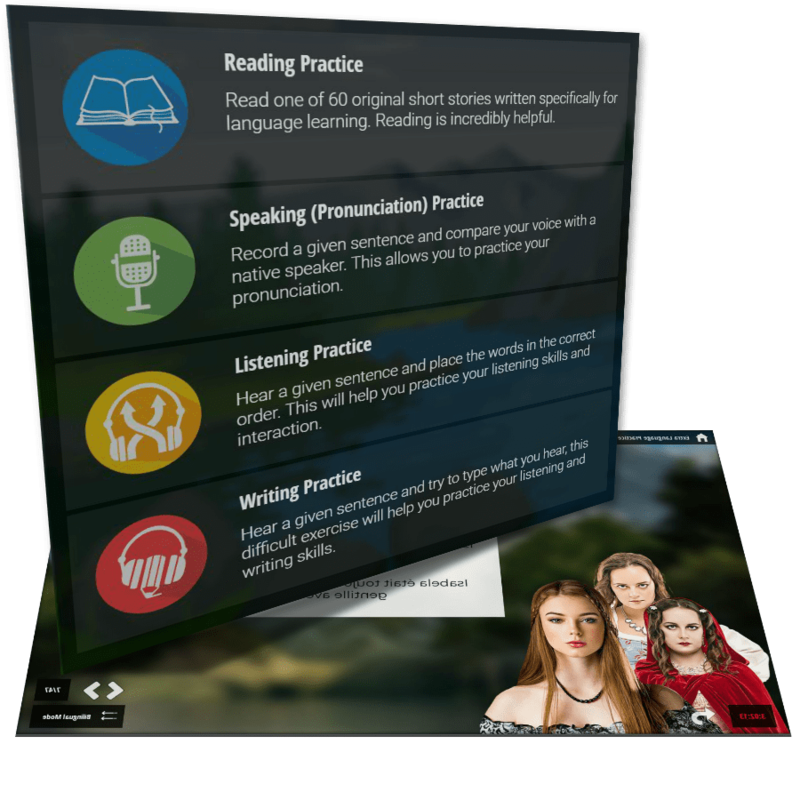 You’ll be able to practice your pronunciation, listening and writing skills with thousands of full sentences. You'll also be able to practice your reading skills with 60 original short stories written specifically for language learning. OUINO INCLUDES 5 INTELLIGENT MODULES. OUINO includes a comprehensive collection of grammar lessons with simple and clear explanations in English. Grammar is an intimidating word for many people, but it’s simply the structure of the language. Explaining the structure of a language is often complex and specific to each language, which is why most apps don’t bother teaching any grammar at all. On the other hand, grammar in traditional methods is often overdone with incredibly complex grammar rules that make your head hurt. In OUINO, we use a balance of both methods; we understand that most of the language structure is learned through a lot of exposure to the language. But we also believe that grammar, when used in a productive way, is essential to really understand how a new language works. With OUINO, you’ll finally understand sentence structure with simplified grammar. OUINO teaches verb conjugation in a unique visual way. 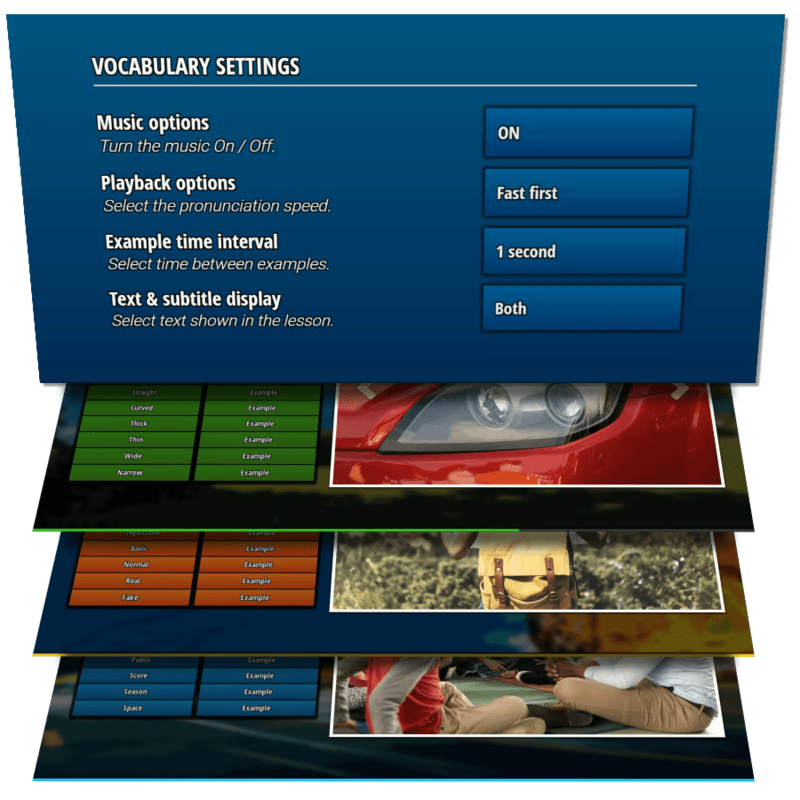 Our four verb sections work together to teach you hundreds of verbs. Verbs are a very important part of any language. Conjugation can seem like a terribly complex subject, but it’s not all that complicated. At OUINO, we don’t understand why most apps and programs don’t teach any conjugation at all! Most people who learn verbs with our method are relieved at how simple conjugation can be. When broken down into smaller parts, and practised in the right way, you can feel confident using multiple verb tenses very quickly. OUINO teaches verb conjugation in a way that makes sense. The verb module is divided in 4 sections that work together to teach you hundreds of verbs and continuously reinforce your conjugation at the same time. We use a unique visual approach. Our multi-sensory approach and exercises of varying difficulty forces the brain to form multiple bonds with the words. We use a combination of listening, reading, translations, image associations and writing exercises to force your brain to form multiple bonds with the words. Many apps out there intentionally make the exercises really easy. You can get most answers right away by making simple deductions, but do you really learn the words? In our method, you start with easy exercises and work your way up to difficult ones. You simply can’t receive a perfect score if you don’t have a solid grasp on the new words. We strongly believe in striking that perfect balance between having fun with the lessons to stay motivated, and challenging yourself to get you ready for the real world. OUINO teaches how each letter and sound is pronounced and allows you to compare your voice to native speakers. When learning languages, understanding the proper pronunciation is very important. It is one of the first things you should learn. Yet, very few programs or apps actually take the time to teach it. In our program, we have an entire module dedicated to teaching the proper pronunciation of every letter and common sounds. 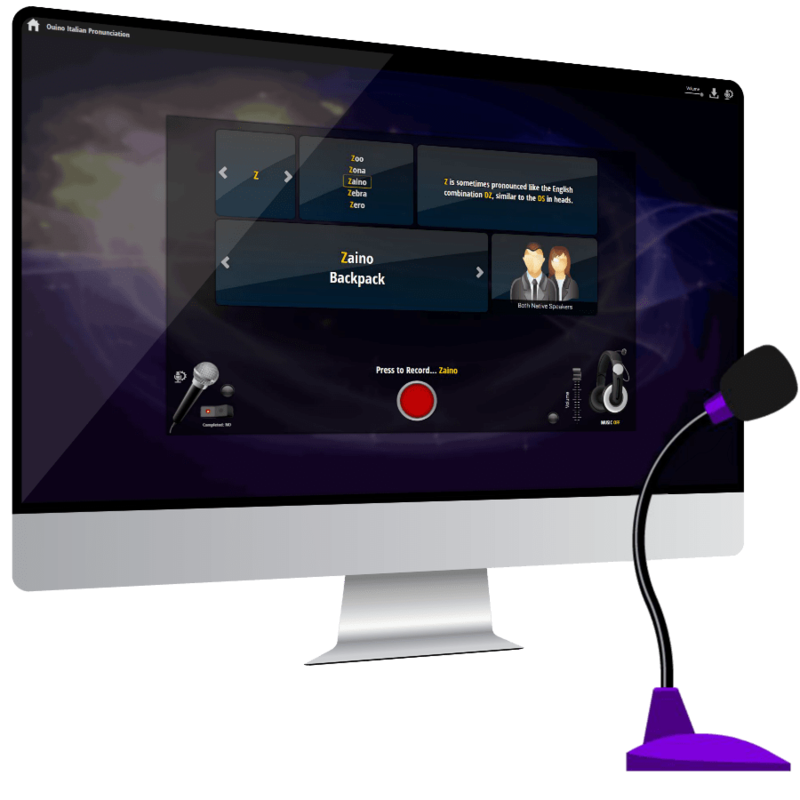 Plus, we have developed a pronunciation practice system that allows you to improve your pronunciation with thousands of full sentences. This exercise can help people of all levels, even if you have been speaking the language for years! As you practice out loud, you might think you have the right pronunciation. It is only when you listen to it that you may realize your pronunciation is not quite as good as you initially thought. Our record-and-compare method was proven to be more effective than computerized voice-recognition systems. Listen and take part in conversations of everyday life with common expressions of native speakers in formal and informal settings. In the Conversation module, you will learn how to put everything together. We have designed 60 conversations that are very common in everyday life. They use things you will learn in Ouino, as well as other aspects of conversation such as expressions and idioms, which may not be used as much in writing. These conversations were designed to be simple and to teach you a lot within one conversation. Again these can be used in any order. If you are going to the restaurant, take the restaurant conversations. If you are going to the airport, take a look at the conversations on transportation. OUINO. THE MOST COMPLETE PROGRAM ON THE MARKET. NOT SURE IF OUINO IS RIGHT FOR YOU? If you have any questions at all, please contact us. We’ll give you truthful advice to help you reach your goals. A short conversation with a language-learning expert can give you all the information you need to make the right decision. If we feel OUINO is not right for you, we will tell you the truth and steer you in the direction that can help you. ARE YOU READY TO TRULY LEARN ITALIAN?